We should eat with our hands more. And while you’re at it, hand-feed your friends. “In Ethiopia, it’s common custom to hand-feed each other as a gesture of friendship and love. It’s called gursha and the larger the gursha, the stronger your bond,” says Naz Mahari. 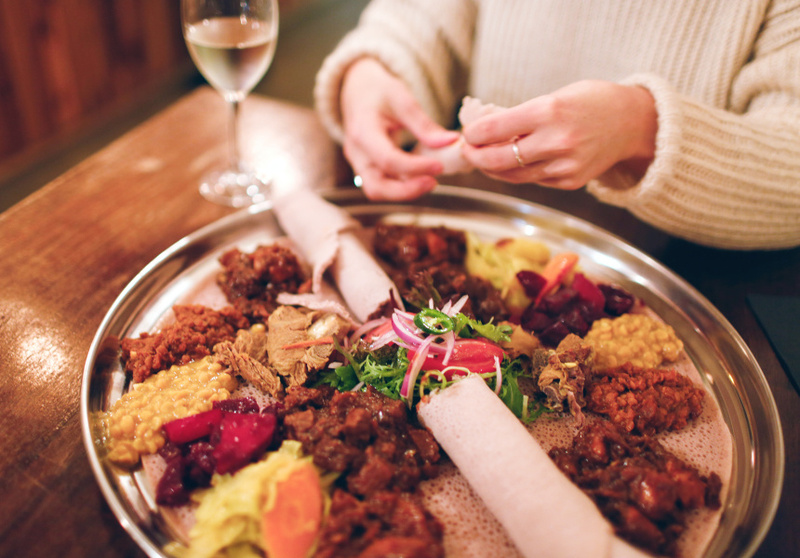 At new Ethiopian restaurant Mesob, owners Mahari and Dawit Kebede bring their traditional cuisine, decor and hospitality to Northcote. They probably won’t hand-feed you, but you won’t get strange looks from them if you partake. There’s also live jazz on weekends. The couple lives in Seddon, where they feel surrounded by African food, but chose to open their restaurant in Northcote. 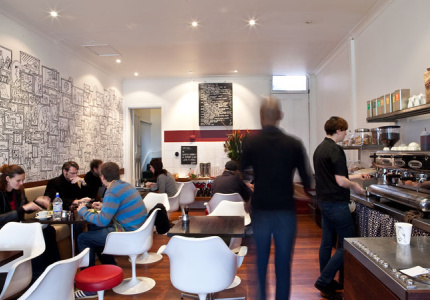 “Northcote has this amazing sense of community and being a young family ourselves, we wanted to create a comfortable dining space for families and friends to eat and experience the food together,” says Mahari. 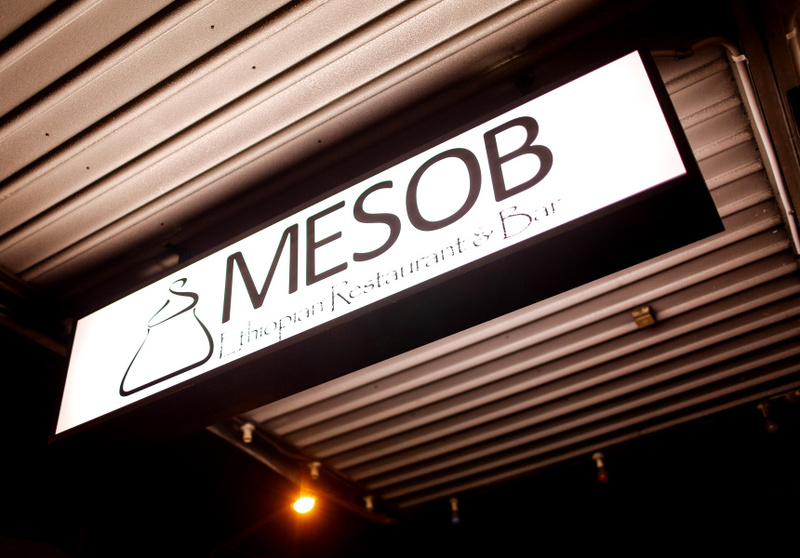 Mesob is the pair’s first restaurant and its name comes from the traditional storage and serving basket for the injera. The low dining tables, ideal for groups of two, are made from mesobs, while larger groups can dine on the bigger wooden tables. The bar has been made to resemble a typical straw hut you’d find in Ethiopia and the walls are adorned with traditional handicrafts, paintings and statues from Mahari and Kebede’s personal collection as well as other pieces sourced from Ethiopia. There aren’t many restaurants in Melbourne where the owners rush to the door to greet you and walk you out at the end to say goodbye. “I’ve done everything I can to create a space that truly takes me back to Ethiopia, and I hope people feel this too when they come in,” says Kebede.